A ‘Wildlife Hero’ – James Collects Award! 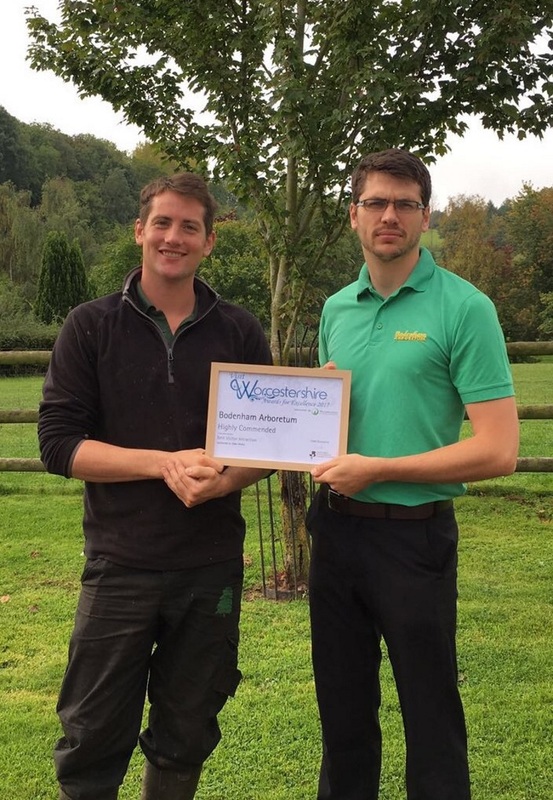 James Binnian, owner of Bodenham Arboretum, has collected a ‘Wildlife Hero’ Award from Worcestershire Wildlife Trust. 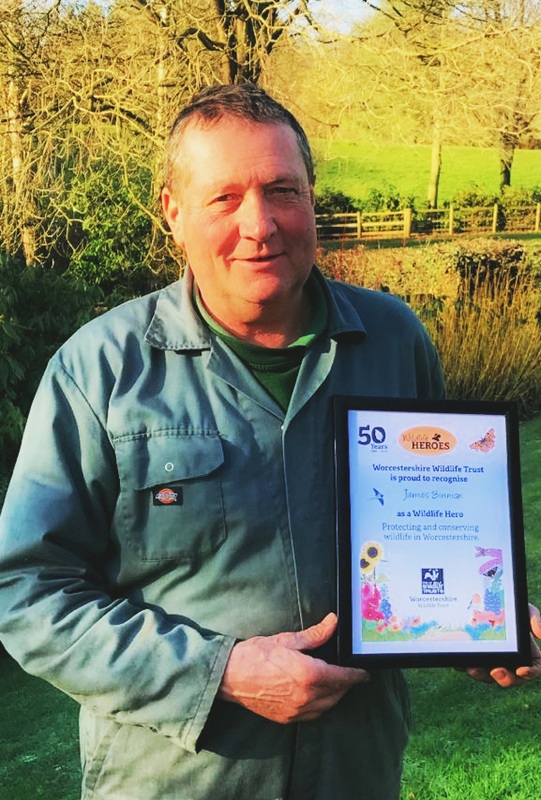 The local wildlife conservation charity launched the Wildlife Heroes Awards in spring 2018 as part of their 50th birthday celebrations, whilst aiming to highlight and applaud individuals, groups, communities, businesses and schools that have helped wildlife during the last 50 years. The Awards Ceremony took place on Friday 25th January at the Trust’s headquarters, Lower Smite Farm. Bodenham Arboretum has over 5 miles of pathways to explore, rich in native woods and trees, together with 15 pools, plantations, dells and glades comprising over 3000 trees and shrubs, 300+ species of wild flowers, plants and grasses, providing wonderful wildlife habitats; over 14 species of dragonfly and 100 species of resident and migrating birds have been spotted at Bodenham. 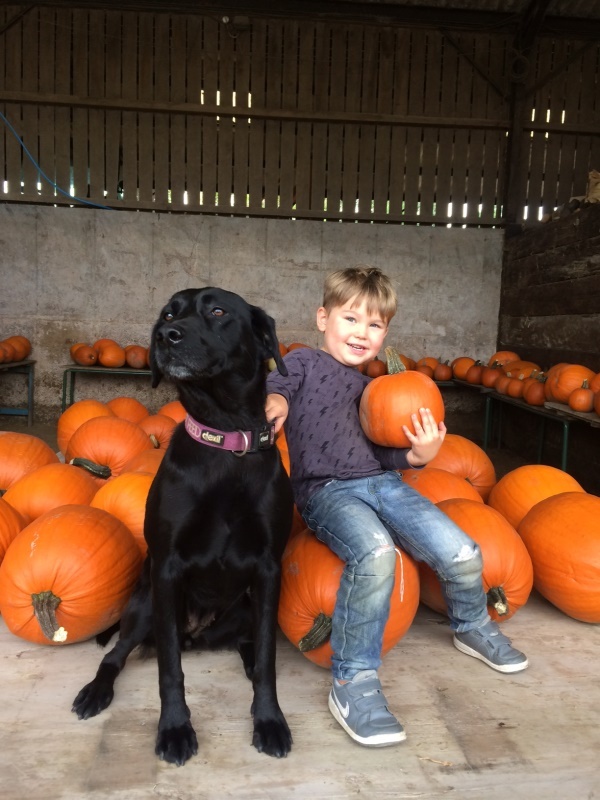 Pumpkins all round at Bodenham Arboretum! If you are carving your Halloween pumpkin over the coming days, spare a thought for us here at Bodenham Arboretum – we have over 200 to carve! It is then a day’s work to site the pumpkins around the Arboretum, complete with ‘torches’ in readiness for Saturday’s opening event where 650 people are expected. The trail runs for 5 nights, from Saturday 27th through to Wednesday 31st October (Halloween). 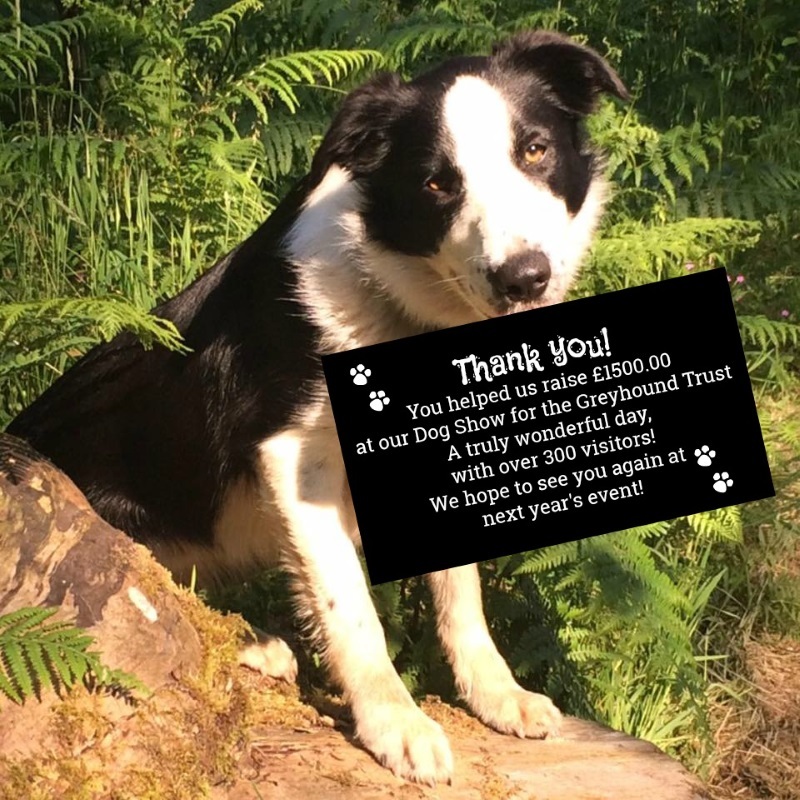 Tickets, which have been on sale since August, sold out in a matter of weeks such is the popularity of the event which is now in its fifth year – a joint initiative hosted by Bodenham Arboretum and ‘The World Outside’ – the Forest School which is set within the woodland of the Arboretum. The trail of torch lit pumpkins leads visitors around the Arboretum’s ‘Big Pool’ before returning to the Terrace outside the Visitor Centre where activities such as apple-bobbing, marshmallow toasting and ghost stories take place! Bodenham Arboretum is holding a Poetry Trail, comprising a collection of over 50 poems exploring the theme of ‘Autumn’ and ‘Change’ – from poets both past and present. It will run for a week from 1st – 7th October. 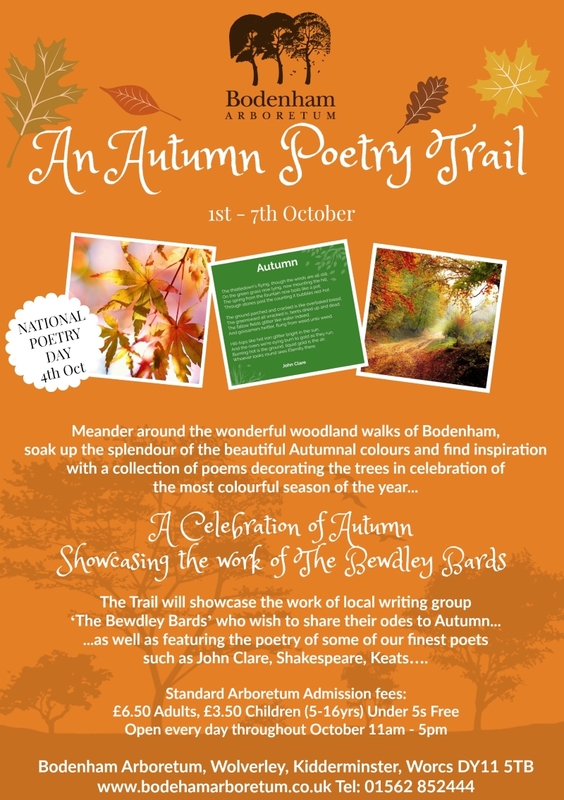 As well as featuring the poetry of some of our finest poets such as John Clare, Shakespeare, and Keats, Bodenham is delighted to showcase the work of the local writing group ‘The Bewdley Bards.’ The poems will be attached to trees along the mile-long trail. On Thursday 4th October, to mark National Poetry Day, the Bewdley Bards will be at the Arboretum, and they are inviting people to drop in to hear readings and/or try their hand at writing poems about Autumn or ‘change’. Volunteer Opportunity – can you help us feed the birds? The wonderful woodland here at Bodenham Arboretum provides the perfect habitat attracting many species of birds. 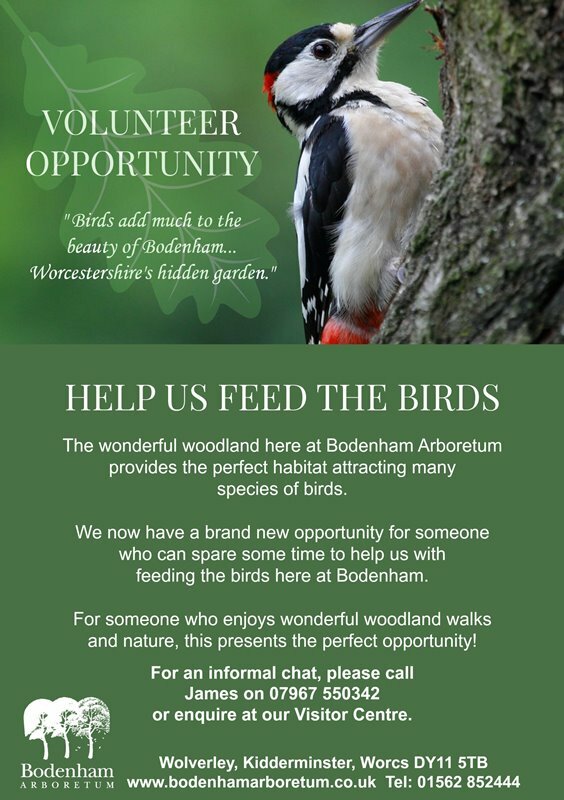 We now have a brand new opportunity for someone who can spare some time to help us with feeding the birds here at Bodenham. For someone who enjoys wonderful woodland walks and nature, this presents the perfect opportunity! For an informal chat, please call James on 07967 550342 or enquire at our Visitor Centre – 01562 852444. 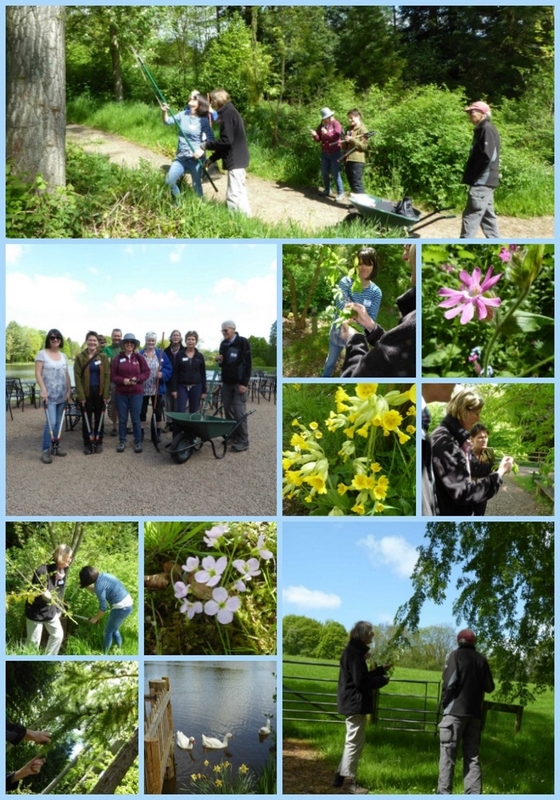 Bodenham’s Volunteer Scheme gets off to a great start! The sun was shining, the tools were ready and our Volunteers were eager to get started on their first day under the watchful eye of Jenny Marshall. Jenny is overseeing the Volunteer project at the Arboretum and has over 17 years experience of growing trees and shrubs. Pruning was the first job of the day and with guidance from Jenny the team quickly got to work with a group of willows being the first to benefit. Bodenham Arboretum is just one attraction across Worcestershire and Shropshire offering the chance to combine a good cup of coffee with a chance to explore the local landscape. 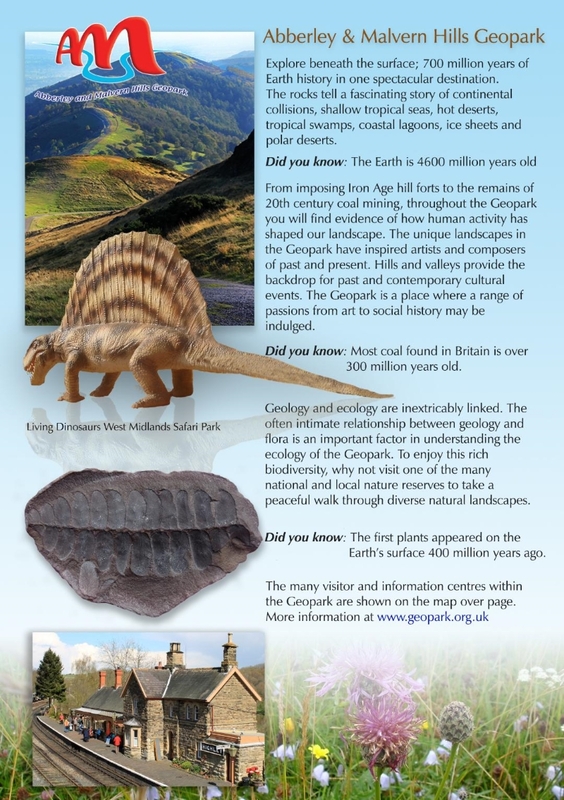 At Easter members of Abberley and Malvern Hills Geopark are launching the Cappuccino and Geology Trails. The Arboretum Geology Trail is approximately ½ mile (0.8km) in length. The Arboretum and surrounding areas are underlain by rocks of various ages…on your drive to the Arboretum you may have noticed red sandstones along the roadside – these are sedimentary rocks that formed in vast deserts in the Permian period, whilst in the Arboretum grounds the underlying rocks are Silurian, Devonian and Carboniferous in age. You can pick up a leaflet in the Visitor Centre. 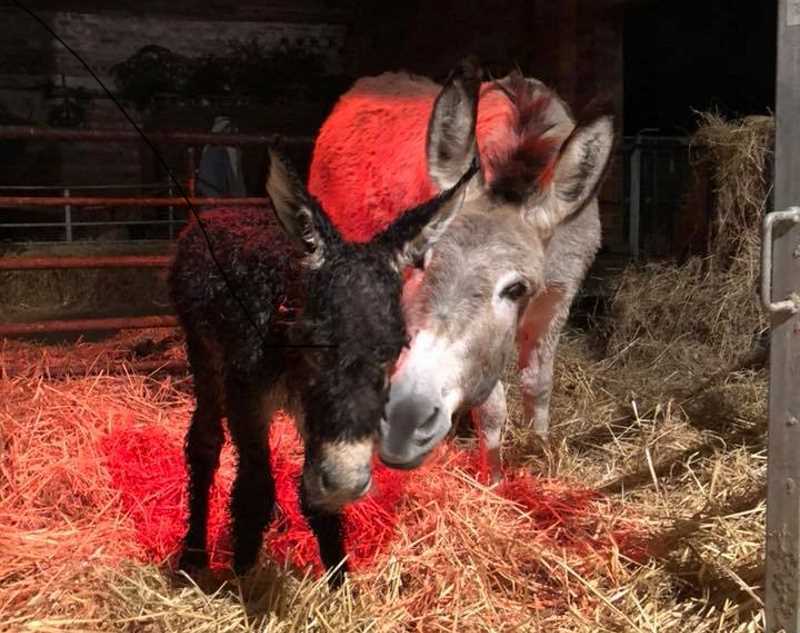 Bodenham’s New Baby Donkey Arrives! We are delighted to announce the birth of our new foal here at Bodenham. The proud mom, Eve (who was born on Christmas Eve several years ago) gave birth at 4.30pm Thursday 14th December and both are doing fine! The baby Jack (male donkey) is understandably staying very close to mom but no doubt will be the ‘star’ attraction along our Nativity Trail now! All we have to do now is think of a name, perhaps you can help us choose….watch this space! Bodenham Arboretum recognised with ‘Highly Commended’ Certificate at the annual Visit Worcestershire Awards for Excellence. Bodenham Arboretum has been ‘Highly Commended’ in the Best Visitor Attraction Category in the ‘Visit Worcestershire Awards for Excellence.’ The Awards celebrate the best tourism businesses in the county, celebrating what makes Worcestershire such a wonderful destination for visitors. The event was led by compere John Challis, best known for his role as Boycie in Only Fools & Horses who amused the audience with personal anecdotes throughout the ceremony. Bodenham hosts the Retired Greyhound Trust’s Dog Show and £1500 is raised! Over 300 people attended the Dog Show organised by the Greyhound Trust on Saturday 16th September here at Bodenham. Thank you to everyone who supported it – by attending, taking part and organsing it. An amazing £1500 was raised for this very worthwhile cause! We are delighted to announce that we have reached the finals in the ‘Visit Worcestershire Awards for Excellence 2017’ as Best Visitor Attraction. Thank you to everyone who has supported us over the years and for the wonderful reviews we receive. The winner will be announced late September. 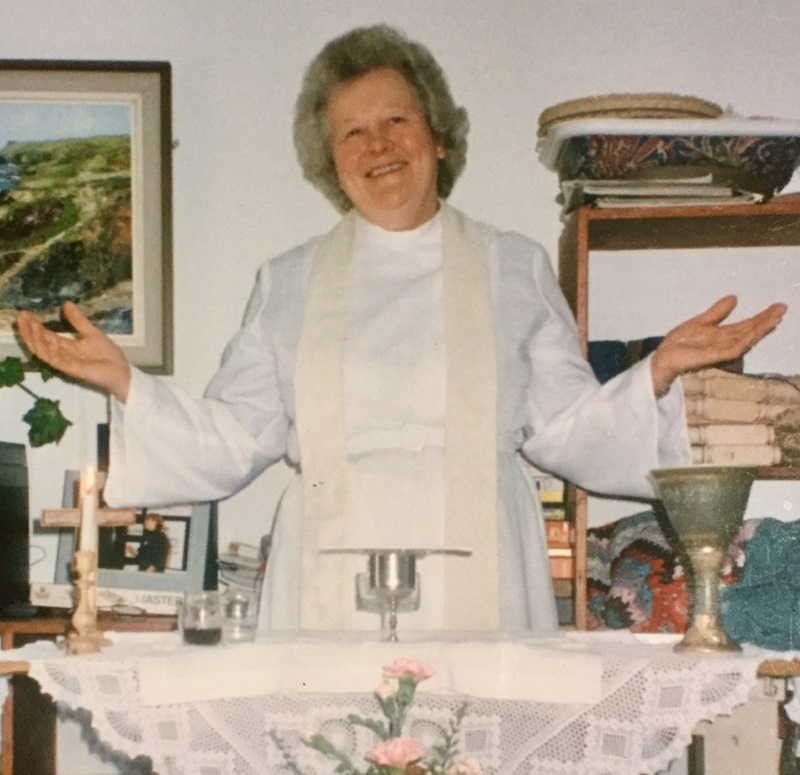 Regretfully we share the sad news that Mrs Jennifer Binnian passed away peacefully at home on Sunday 6th August. For those of you who know the family and history of Bodenham you will be aware that Jennifer and David began their project in 1973. Building on time honoured principles of hard work and integrity, and with an uncompromising desire for quality, the long-term stewardship of the land has been their legacy, making Bodenham the beautiful place that it is today. An ordained Minister, Jennifer will also be remembered for playing a significant role in the local community as the founder of Kemp Hospice. The family, now in its fourth generation, will ensure that the values which have been instrumental in crafting Bodenham’s sense of identity and purpose will continue to be reflected in all that we do…this is how their, both David and Jennifer’s, spirits live on. Over £4000 Raised for Muscular Dystrophy UK! We are delighted to announce that our recent fundraising event for Muscular Dystrophy UK raised £4405 at ‘Bry’s Barn Bash.’ Thank you to everyone who supported us, helped us and worked for us on the evening, including ‘Izzy the Push’ for providing the outstanding entertainment.